By Garett Sloane . Published on June 05, 2017. Google Chrome will start automatically 'filtering' some ads next year. Google's plan for an ad-blocking browser is worrying some publishers and ad executives who consider the internet giant too powerful as it is. Google dominates digital ad sales, ad delivery, search and publishing technology. It now will exert the power to interfere with websites' ad revenue through its popular Chrome web browser. Google on Thursday acknowledged that it plans to build an ad "filter" into Chrome that prevents pages from showing ad formats deemed too intrusive by the industry's Coalition for Better Ads. "Google is too powerful, which is why they can do this sort of thing and not have a great deal of pushback," said one agency executive, speaking on condition of anonymity. "Google's blocker, or filter, will actually hurt the myriad of smaller publishers." Google, with the help of the ads group, is trying to curb annoying ad formats, like ones that pop up and take over screens. But many websites use those formats, annoying or not, to pay for their content. The formats also meet many marketers' demands for highly visible ads that consumers won't just ignore. At a time when advertisers are pressing for better and better "viewability," nothing is more in-view than a full-screen ad. Plenty of internet ad players understand that bad ads pose a serious risk to the industry. And the more annoyed consumers become, the more they turn to third-party ad blockers, like Adblock Plus. The question is whether publishers have a right to use the ad formats they want. "Google is inserting themselves as the filter of good ads," said Daniel Meehan, CEO of PadSquad, an ad firm that helps publishers. "That could benefit publishers and users by getting some of the bad actors that are still out there." PadSquad has developed some flashy units that readers might run into on the mobile web, but Meehan said they aren't the kind that Google and its better ads group have identified for filtering. Still, the company has reason to be leery of Google's new gatekeeper status when it introduces its ad filter next year. "Do you feel comfortable with Google being the arbiter of what appears on a page as a user, and more importantly as a publisher?" Meehan said. Google has already drawn critics for paying AdBlock Plus to whitelist its ads. For a fee, the popular ad-blockers let companies' least-obtrusive ads pass through its filters, an arrangement the Interactive Advertising Bureau considers a shakedown. "If you want to speed up improvement of the ecosystem, start by no longer propping up ad blockers," said Jason Kint, CEO of Digital Content Next, a publishing trade group. 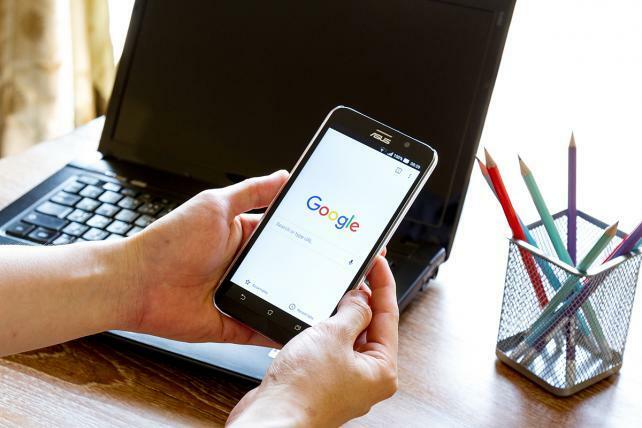 Kint said Google's latest plan seemed to be a more elegant fix because an industry group determines what ads are appropriate. "It's hard to argue that's not a better solution," Kint said. The companies most concerned, however, are ones like Kargo, which plugs into multiple publishers' websites and usually serves eye-popping ads, some of which do take over the screen. Some Kargo ad formats could run afoul of Google's blocker. "The problem is that Google will implement something that has unintended consequences and stifles innovation," said Harry Kargman, CEO of Kargo, in an e-mailed statement. "We are concerned because getting it right is so important."